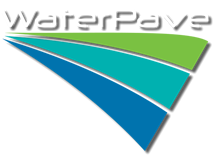 WaterPave is an Australian-owned company using Australian products and providing a highly professional approach to the supply and installation of its unique permeable paving systems. Right from the initial phone call, professional staff will guide you through the installation process and find the right product for your job. Martin Cook, managing director of WaterPave, created the business when he discovered a major void in the building industry for quality-made, durable permeable paving alternatives to porous concrete materials and products. As a registered builder, Martin undertook several property development projects, and on numerous occasions was faced with the council requirement for a permeable driveway system due to large trees on or neighbouring the property. Unsatisfied with the available options, he decided to research the industry and develop his own permeable systems. WaterPave Australia Pty Ltd specialises in the supply and installation of high-performing permeable paving systems designed to absorb rainwater and reduce the effects of flooding. That’s why Melburnians turn to WaterPave for affordable solutions and alternatives to porous concrete products. We are the industry leader and top innovator in the construction of bonded permeable or pervious paving, servicing the civil, commercial and residential construction industries. WaterPave offers two permeable systems: DriveCon™ permeable concrete, and DriveTec™ which incorporates a resin-bonded stone top layer. Unlike 'no-fines' concrete which has virtually no structural integrity, both WaterPave systems have been engineered to carry everyday vehicle loads, while still allowing the rain water to flow through and recharge the soil below to satisfy local council permeability requirements. WaterPave permeable systems are now recognised by many local councils throughout Australia as the preferred solution for permeable driveways in tree protection zones and where an increased level of permeability is required. Apart from being a more environmentally friendly and sustainable option than porous concrete, DriveCon™ permeable concrete and tarmac, and DriveTec™ resin-bonded stone, also look fantastic. Don’t settle for boring old slabs of concrete or overly expensive pavers; at WaterPave we deliver top-shelf permeable and porous concrete products that will suit any location, landscaping job or construction project. At WaterPave we pride ourselves on carrying out each installation on time and in a professional manner with our highly-trained installation teams. To find out more about how your home or business could benefit our range of unbeatable products simply click here to speak to a member of our team.